Understanding the mind is the desire of most students. Recognition that the mind often does not wish to be understood need be made, for the student who continues to pursue understanding prior to adopting corrective measures is one who often is dominated by the ego. It is to seek guidance from the inner Teacher that is suggested when one is attempting to unseat the ruler called ego. It is important that all students be aware that the ego will fight the self tooth and nail, so to speak, from discovering that another has only the self’s highest and best interests at heart; rather, the ego prefers to tear apart the other, to judge, diminishing that which is brought forth for the benefit of the self. The self that embraces the judgments is the self that has decided that the teachings are not desired by the self at this time. Recognizing the self is important, seeing the self as others see the self – necessary, for one who walks the path to healing; for the student who fails to recognize those who seek to aid the self is the student that drains all those that come within the sphere of the self. As long as the ego is invited to these sessions, wisdom will not be achieved, for it is the duty of the ego to prohibit sharing, to prohibit anything beyond that which spills forth from the mind. The heart can never be touched while the ego is present, for the shield has been activated, prohibiting entry of all others. It is important for all present to focus the attention upon the heart, to recognize that the mind is the arena utilized by the characters; the heart alone receives message without judgment, allows the self to feel that which has been received to determine if it is appropriate for the self at this time. It is the mind that judges, that changes that which is provided to prohibit the self from learning. Failure to recognize that the mind is utilized in order to ensure lesson failure results in just that. It is to dedicate the self to spending less time with mental gymnastics and more time with the inner Teacher. It is to increase this time gradually, focusing the mind upon the issue that the self seeks to resolve, calling forth the inner Teacher, asking for guidance. Guidance will be received. It is for the self to then pursue that which is made available to the self. Journaling that which has been determined is suggested. Do you understand that the mind has provided you with the answer that is used quite frequently by the self: “It seems like…it should be…it may be…I don’t think that it is” – this is referred to as the non-committal reply, one that the self is able to be on both sides and can easily shift their stance, depending on where the chips fall. This is learned behavior my brother (Loereve); it is time for you to choose, to state for the self – do you believe that the mind is the most important component of the human? Do you understand the many different factors employed by the self prior to providing another with answer, my brother? That the self has forgotten how to use the mind, for the self is accessing emotion, rather than the mind; emotion that wishes to be embraced by the other, seeks the approval of another, seeks that the other endorse the self and that the self endorses the other. As in your programming language, there are many ‘if’ statements; it is this that causes confusion for the self, for the mind does not care for the word ‘if’ – it seeks resolution. When another asks a question of the self, you immediately begin to seek what will happen should you answer this, or this, or this, or this, utilizing judgment to determine what the other will feel, what the other will think, how the other will respond. It is judgment that causes the confusion and the self’s inability to respond to a simple query. To recognize that the self’s understanding of that which is most important to the self’s progress is tenuous at best is important for the student who walks the path to healing. It is to open the self to the Teacher, to focus upon the lessons that are being brought forth to the self and to ask, “What does this lesson represent to me – why do I continue to fail this lesson, time after time after time?” Survey, close scrutiny will likely return to the self the answer – that it is the mind that has focused the attention elsewhere; the mind is focused on what the mind seeks to understand – not what the Teacher has brought forth. I stated in a previous teaching the mind is programmed to avoid all discussion, all scrutiny, all review of the lesson plan; rather, recognition is made of the lesson – if the self fails to question the mind directly, the mind files it away, placing it in the cabinet, locking the drawer, waiting for the next and the next and the next lesson to be presented, which will then be added to the drawer, until the drawer is overstuffed – the drawer will no longer close and now the self must address the lesson directly with the mind. The student that seeks to be a good student is a student that focuses on knowledge, garnering knowledge from all avenues, drawing it in, sorting it, sifting through it, trying to determine that which is most important to the self. The mind focuses on that which it finds to be of greatest interest – of course the mind seeks the topics that are unsolvable, it is ravenous for knowledge, it is most desirous of those things, those riddles that can fuel pursuit for many, many years – oftentimes, the lifetime is focused pursuing the single topic that the mind has determined is critical to the self’s development. 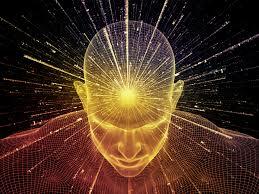 The mind is programmed for distraction, for the mind is in constant, constant, constant motion – constant action, constant processing; even when the self believes that the mind has been stilled, the mind of course has not been stilled – it is simply providing the self with the impression that all activity has abated. To recognize the self is difficult when the self has forbidden particular thoughts from fully entering the mind; it is the periphery that contains the majority of the student’s difficult past lesson failures. Snatches, or glimpses, impressions, feelings are brought forth by the Teacher, gradually introducing the student to the experience of the past – that which was determined to be profound, difficult, painful. Lesson is presented of similar nature in order to garner the student’s full attention and once the memory has been brought forth, front and center so to say, it is then that the student is capable of seeing how the self failed, as well as subsequent failures that came, each time the Teacher attempted to resolve that which remained unresolved for the self. It is the thinking that indicates to the Teacher that which need be addressed, remembering a friend who was dismissed from the life experience when a particular song is heard, when a particular activity is enjoyed; the voice of a family member being heard in the mind – that which comes forth unbidden, unwelcome. The student closes the mind, closes the eyes to the window that the Teacher has attempted to provide – the window to the past, reminding the student that this must be remedied in order to move forward. All current lifetime issues must be resolved prior to addressing previous lifetime issues. It is previous lifetime issues that fuel the composite self, that continuously draw forth negative behaviors that are unwanted by the current self – that which we shall refer to this day as the true self. It is the true self that was burdened by the age of two with all previous selves behaviors, characteristics and energies of all previous lifetime lesson failures. The true self was burdened indeed, as the characters began to come forth, displaying myriad talents, shocking many with negative behaviors, each attempting to set the course for the current lifetime. Sol: Do I understand correctly that you said that the energies of the composite self fuel the current life’s lesson plan…not the exact words but the concept? I did not mention that at all my brother; rather, I stated that the energies were drawn forth of all previous lifetime lesson failures. It is of course these energies that fuel the lesson plan. Do you understand my brother that it is your mind that takes the data received by another and translates it? It is then the other that often suffers based on the translation that your mind provides you. Sol: Yes I understand that – thank you. It is to recognize that the mind is desirous of assisting you; providing this service is indeed a positive action but could certainly be viewed negatively. Do you understand? Sol: Would you expand on that please? Indeed. I, of course, did not suffer. I benefitted by the translation that you provided; however, those surrounding the self the majority of the time fall victim to the translation of the mind – the mind which hears, draws forth conclusion, and then informs the other that the translation provided to you by the mind is actually what was stated by the other. Do you understand? Sol: Yes and I had an example of that today. Thank you…at least one example. It is important to recognize that the mind is indeed your partner my brother. Sol: I have a question. Should you seek equal partnership, you must step forth and begin to recognize that which is being provided to you by the mind. Do you understand? Sol: Yes, I understand that in principle – how do I train my mind to provide me with exactly what was said by the other? It is to listen closely my brother, to forbid analysis until the other has completed the self’s statement. Do you understand? It is the negative view that must be understood as the urging of the composite self – that portion of the self that is never satisfied, that does not receive the appropriate attention, that has never been endorsed as fully as the self believes the self should have been. Do you understand? It is to recognize that this thinking was promoted to you and embraced by you, utilizing the energies of the lesson plan of Shame. Do you understand? Sol: Yes, I do now. Thank you. It is difficult for the Teacher to emphasize the importance of silence for the student, yet I shall try once again by encouraging each to spend no less than 10 minutes per day in silence, focused upon the mind. All that which comes forth need be addressed by the self; if it is a reminder, it is to thank the mind - if the self thinks necessary, to jot it down and to then return to silence. It is to dedicate the self to listening and to addressing all that which is brought forth by the mind, for the mind is indeed the interpreter for all bodies. The self benefits tremendously when this interpreter is questioned, examined deeply and correction made whenever necessary, whenever possible. The teachings that I seek to bring forth are those that are felt in the heart; when the student reads the teaching the heart becomes engaged, the mind follows the heart. The heart is open, willing to embrace all that which is made available. The mind embraces very narrowly only that which has been determined to be acceptable - that which has been previously experienced, that which is well understood. As soon as the information is available to the mind, the mind begins searching the databank to determine if there is knowledge resident within that is similar in nature - something that has been embraced by the self previously, something that states “Yes, I can embrace this. I can accept it. I shall file it right here with the previous information.” If the information can not be matched, the mind becomes suspicious, begins to question, and if answer is not found suitable enough to allow the mind to file the information with that which was previously gathered, then the information shall be discarded, forgotten. As long as the self allows the mind to perform this tasking for the self the self will not be able to change the self’s way of being. It is the mind that speaks. It is the self that listens. The mind has been programmed to draw forth example to the student of that which has been, and is being, experienced by the self. The student that fails to recognize the self in all that is being experienced is the student that is currently failing. The self is available to the self so that the self may be seen clearly at all times. It is the lesson plan, it is the mind, it is the view of the student, the attitude, the way of being, the way of seeing all things through the lesson plan. It is for the self to determine which lesson plan is most dominant at this moment, for the Teacher draws forth that which is needed to provide illustration of each lesson plan in bold strokes, for subtlety is lost upon the student. That which makes an impression upon the self, that which draws forth deep emotion of kinship, caring, anger, hatred – it is these emotions that indicate to the self, “I am seeing myself in this moment.” Review of the lesson plan will aid the self in determining the lesson that is currently being focused upon by the Teacher. It is to recognize that it is the mind that prohibits progress for the self. It is to understand that the Teacher cannot aid the student if the student is not focused upon understanding the mind. The mind – the source of all story that demands defense and protection; the mind – the source of pain, suffering; the mind – the source of demands made under the guise of the physical body. Once all has been integrated from the current lifetime, it is only then that previous lifetimes are addressed. It is unfortunate that so many focus upon previous lifetimes, discarding the experiences of the current lifetime, thinking that the previous lifetimes will provide the roadmap to the self of all that which has been experienced in the current lifetime; this could not be less true, for the current lifetime’s lesson plan is often different from previous lifetimes. While similarities exist, the self is by no means a carbon copy of previous selves; rather, the self is a composite of many, many, many lifetimes, of many, many, many different lesson plans - and of many, many, many different choices of the self - to represent darkness or to represent divinity. Lifetimes of abject darkness, lifetimes of extraordinary service have been experienced by all present. It is important to recognize that darkness teaches and that light reforms. It is exposure to the experience that is needed by each consciousness, for without the experience, the self is unable to recognize the difference - that which is known is preferred by the self, that which is unknown shall remain unknown as long as the mind is provided dominance. Within the third and the fourth kingdom the mind is sovereign indeed. The intention that is spoken from the heart versus the head, the mind, is the intention that is sought by the Teacher. The mind seeks to build the intention that is peppered with flowery terms, promises, sweetness - that which shows the education of the self, the intelligence - rather than understanding that love opens the self to all things, love need not perfume itself, love need not pretend. It is to state the self’s intention from the heart that is desired by myself. To understand - the student is deeply desirous of understanding all things; unfortunately, it is the demand of the mind, the ego mind, rather than the demand of the heart. The student stands solidly on both feet, hands on the hips, informing the Teacher that the self is unhappy, the self does not have what the self needs, the self is not fond of the teaching method employed by the Teacher - the self has better ways, better methods, better words. The Teacher smiles widely, understanding that it is the ego that demands understanding, that demands control, that demands that the Teacher be put in the Teacher’s place. It is appropriate for the student to state all matters of concern aloud to the Teacher, for hiding these things from the Teacher is impossible. The student that believes that the self can think these things without the Teacher being aware is a student indeed. All students judge the Teacher; judging the Teacher openly is suggested. It is to recognize that suffering is provided to one who seeks to strengthen the will. Prolonged suffering is provided to one who has failed to maintain the mental capacity in previous lifetimes; prolonged suffering causes the mind to shatter, unless the strength of will has been seeded and then watered through numerous lifetimes. Testing of the student is extraordinary; those students who are weak of mind, weak of will, weak emotionally, weak physically, will not survive the testing provided. It is to recognize that you (student) and your sister, Te' Auna, suffered similar experience within childhood; each damaged – Te' Auna mentally and emotionally battered for many years, yourself, physically battered in order to break you mentally, in order to break your spirit, but the spirit had been nurtured, had been strengthened, had been watered through many, many lifetimes. It was not possible for you to be broken so much planning had gone into this testing for you, my sister. It is now time for you to lie down the baton for battle, to see the self as strengthened mentally, emotionally and physically, so that the plan for the self can begin to unfold, once the self has learned all lessons and released the burden of the lesson plan permanently.